Wadjet Eye Games have an absolutely stellar line-up of point and click titles under their belt, most notably Primordia and the Blackwell Legacy series, so it's easy to see why developer and fellow employee Dave Gilbert chose his employer to release the remake of his first, and classic, point and click adventure The Shivah. Originally released in 2006, the game found a small following of fans and soon achieved an underground cult classic status; now, seven years later, the game has found itself re-released with updated music and graphics. How does this reissue fair against the original, and does it hold true to the story? 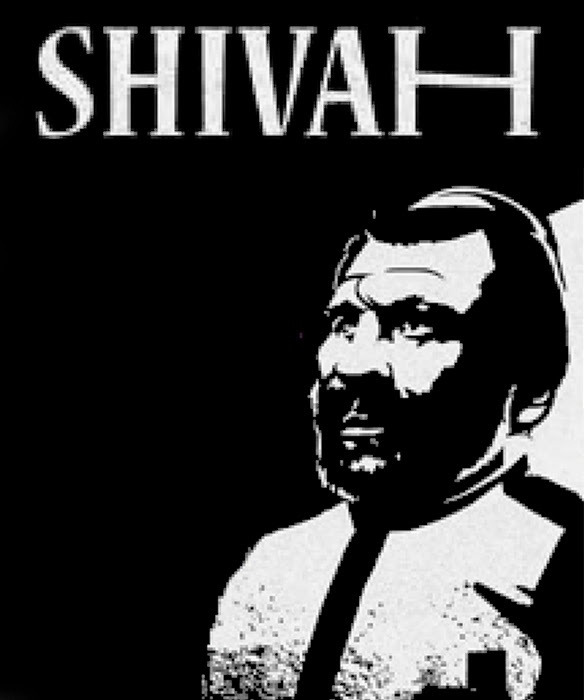 Set in the location of Manhattan, The Shivah is a short point and click murder mystery that centers itself around a cynical Rabbi named Russell Stone. Recently the Rabbi has found his congregation depleted and his synagogue is in dire need of funds for repairs, and just as it seems all hope is lost Rabbi Stone finds out that a former member named Jack Lauder has left him a significant sum of money; the catch is, is that Jack Lauder is now dead and suspect number one is Russell Stone. 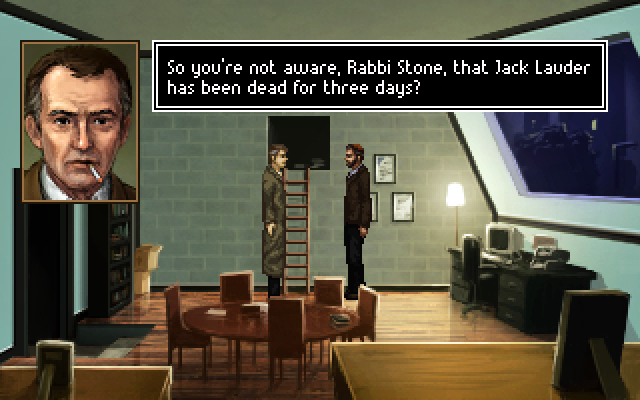 It's up to the player to uncover clues and solve this murder in order to ensure the Rabbi's name stays in good standing. The graphics have been updated tenfold with lush pixel art that far surpasses anything that the original release had to offer. Everything from the backgrounds to the characters to portraits and more have been given a large boost of vivid detail and dynamic color with noir overtones that keep the atmosphere of the game slightly depressed. 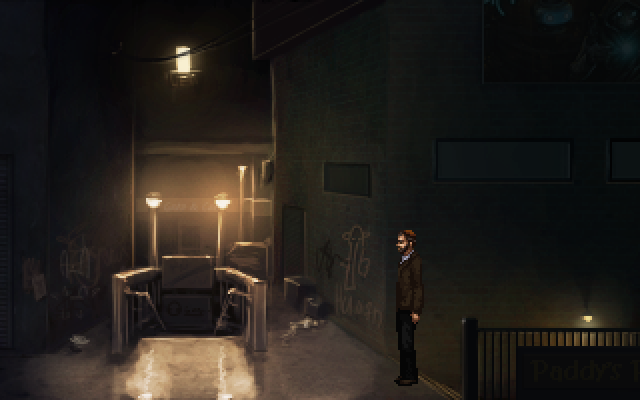 The musical compositions have also been gratifyingly upgraded and assist in the depressive noir aura that the game conveys through its art, sound and dialogue. The only element that hasn't been changed is the voice acting, which still remains cheesy and low grade but oddly enough this adds a slight charm to the game play. The puzzles are fairly easy to solve but do require some tactical outside-the-box thinking at times, as not every clue is handed directly to the player. The original story and conversations are the exact same from the original game with no new content added. The gamer will be able to choose from at least three types of responses during discussions, including a Rabbinical Response which plays off of a bleak humor that a Rabbi always answers a question with a question. The player's decisions and responses decide the ultimate outcome from three possible endings, although there are ways to achieve different endings other than the main three; which gives slight replay value to the end section of the title. With a somber noir style that's coupled by a cynical main character and black humor, The Shivah - Kosher Edition proves to be the ultimate revival of a dark cult classic murder mystery that carries on a feel of The Godfather in some regards. The upgraded graphics give a never before seen detail to the game and the more skillful soundtrack provides a gloomy atmosphere that's suited perfectly for a rainy day. Although the game comes in at only one to two hours of play time, the asking price of $4.99 isn't too steep for the enjoyment that the player will experience with this well written story. Even those that have played the original should look into purchasing this upgraded edition for pure nostalgia.